Magic Kingdom® is the most classic of the four theme parks at WALT DISNEY WORLD®. It is similar to the original DISNEYLAND® Park, but has its own unique appeal and attractions as well. 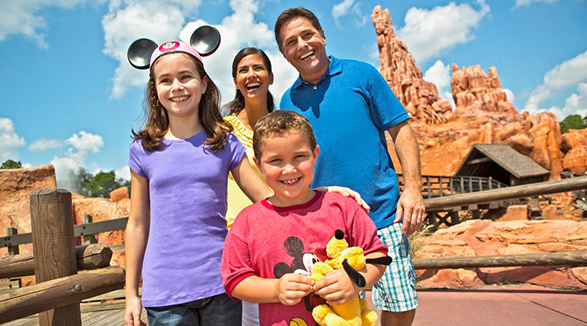 Visitors come from around the world to visit Magic Kingdom® Park at the Walt Disney World® Resort. Patterned similarly to the original Disneyland® Park, Magic Kingdom® has six themed lands. Each of these lands immerse guests in magic with attractions, entertainment and dining all perfectly themed to fit its namesake. The six lands at Magic Kingdom® include: Main Street U.S.A., Fantasyland, Tomorrowland, Frontierland, Adventureland and Liberty Square. 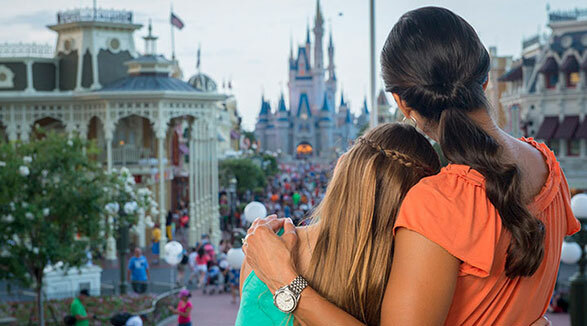 Magic Kingdom® Park is often a family's first stop on their Walt Disney World® vacation. It utlizes the Fastpass+ system, which allows guests to reserve times for up to three attractions per day. Once you have redeemed all of your Fastpass+ reservations for the day at Magic Kingdom®, you are able to make additional reservations one at a time using the MyMagic+ app. 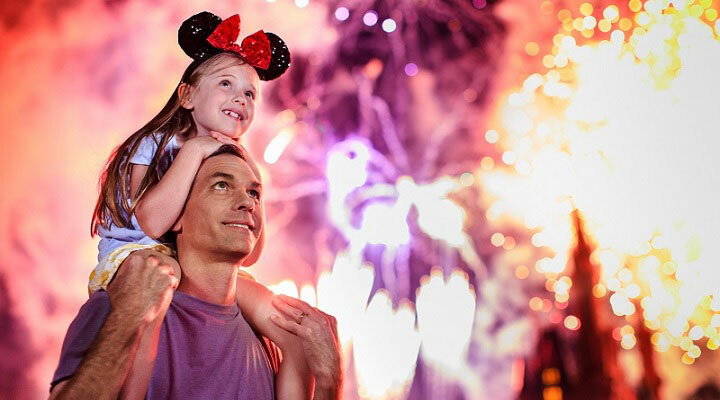 Some of the most popular Fastpass+ attractions include Peter Pan's Flight, Seven Dwarfs Mine Train, Big Thunder Mountain Railroad and Splash Mountain. You can also use MyMagic+ to make reservations up to 180 days in advance for the most popular table service restaurants at Magic Kingdom®. Some of the most popular restaurants at Magic Kingdom® include Be Our Guest, Cinderella's Royal Table and The Crystal Palace. If you fail to get reservations, you'll find a number of awesome quick service restaurants as well. Be sure to try Gaston's Tavern, Casey's Corner and Cosmic Ray's Starlight Cafe. Magic Kingdom® is home to year-round entertainment and attractions, but hosts a number of seasonal events as well. Mickey's Not-So-Scary Halloween Party and Mickey's Very Merry Christmas Party are hosted at Magic Kingdom® Park. These are private ticketed events held on select dates for an additional cost. We always recommend checking the official Walt Disney World® Resort calendar when making your vacation itinerary. If Magic Kingdom® closes early for either of these events during your stay, it is likely that at least two of the other major theme parks will remain open later. 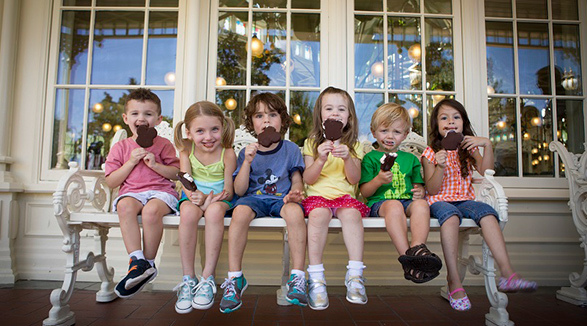 This is one reason why we recommend getting a Park Hopper® ticket when visiting the Walt Disney World® Resort. 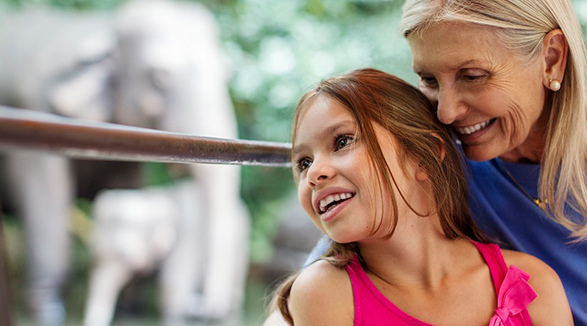 We'd love to help you make memories of your own at Magic Kingdom®. 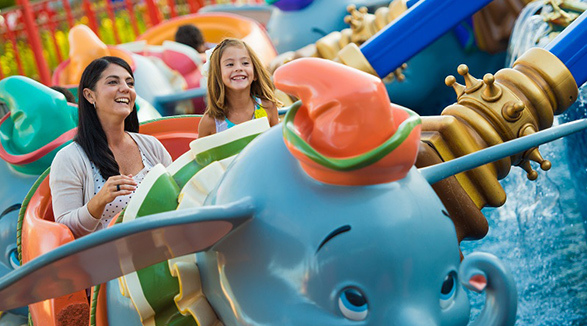 There is so much fun awaiting you at Adventureland at Magic Kingdom®. You'll find what you're looking for and more on exciting attractions and unique dining options. Fantasyland is a place where stories come to life and dreams come true. It's a place that is timeless and magical. The scenery, attractions, characters and more will transport you to place that begins once upon a time. Frontierland at Magic Kingdom® is home to some of Walt Disney World's wildest rides. Take the plunge at Splash Mountain and hold onto your hats on Big Thunder Mountain Railroad. Libery Square at Magic Kingdom® is sure to be a place you'll remember from your WALT DISNEY WORLD® vacation. Here you'll find classic attractions, delicious restaurants and more. 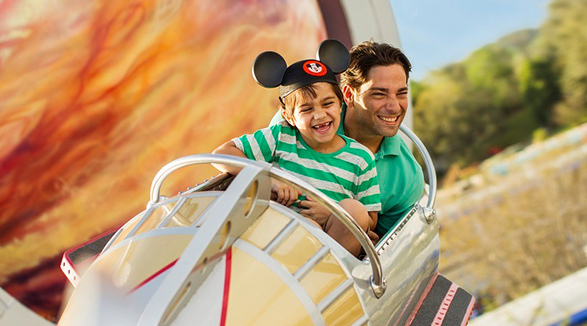 Tomorrowland at Magic Kingdom® is a land of the future and what it holds. Blast off on adventures that you'll remember long into infinity and beyond. Main Street, U.S.A. at Magic Kingdom® is a bustling epicenter of excitement. Make new memories with your loved ones as you take a step into the past.